The Rotary Club of San Felipe is gearing up for the 6th Annual “Taste of San Felipe” that will be held on Tuesday, January 20, 2009. 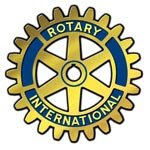 This event will help fund the many community projects the Rotary Club undertakes in San Felipe and enables the Club to obtain grants from the Rotary International Foundation. Tickets are only $15.00 or 200 pesos and will be available as of December 17, 2008, at the People’s Gallery and at the Cachanilla Vendor’s Market on Saturday mornings and, of course, from all Rotary Club members. SAN FELIPE - The Gospel Brunch for ZAPP is coming up fast, January 12, at La Ventana del Mar in El Dorado, and tickets will be gone before you know it. 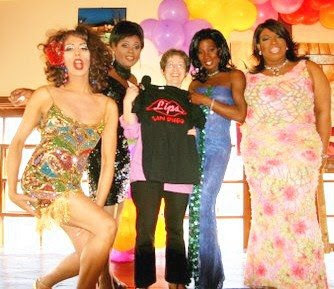 Tootie tells me she has a new performer she is bringing along this year, in addition to the Drag troop from “Bitchy Bingo”—last year’s sold out fund-raising event for ZAPP’s Spay & Neuter Project. Just to clear up any misconceptions, this Gospel Show is “So Wrong in So Many Ways.” So for those of you concerned that it might be too reverent for your taste, you have my word, it won’t be reverent at all. Tickets are $20 for the show only, and available at 11 different locations around San Felipe, as well as the El Dorado Swap Meet Saturday morning. Don’t miss this “R” rated, over-the-top benefit for ZAPP (Zero Additional Pup' ulation Project). Visit ZAPP Blog for more information. Our San Felipe spay/neuter program, run by ZAPP, an acronym for the Zero Additional Pupulation Project desperately needs new, innovative, local methods for raising money. Since 2003, the American community has financially underwritten San Felipe’s sterilization program. But, given the US economy, it has become increasingly more difficult to get funds from Americans, who are generally “tapped out”---and unless ZAPP comes up with a new approach to fundraising, we will not be able to keep up our clinics with the same regularity. Like other spay/neuter programs in Baja sister cities including Ensenada, Tijuana, Rosarito, Mexicali and Tecate, we fight an uphill battle trying to be creative and effective in a country where street, beach and camp dogs run rampant. As I’ve said so many times, the vast majority of problems related to dogs and cats south of the border, are population related, and until we get a handle on the numbers, we won’t get ahead. San Felipe, Ensenada, Tijuana, Rosarito , Mexicali and Tecate all run “no-kill” programs where euthanasia is simply not an option, unless under dire circumstances. 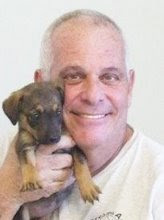 Craig Neilson, an activist with the “Give Some Life” Foundation located in El Cajon CA, works aggressively throughout Baja, and has been instrumental in not only organizing spay/neuter clinics, but also in educating the Mexican government thru United Hope 4 Animals on how to administer humane forms of euthanasia, thus putting a halt to electrocution. Since 2003, San Felipe has done more than 5000 spay/neuter surgeries, and a light at the end of the tunnel is now visible. Recently, I met with San Felipe Mayor, Hazael Sierra Castillo, and I proposed a new fundraising plan which relies more on the Mexican community for donations. ZAPP spay/neuter clinics are now attended by 95% locals, which says, we have been successful getting the word out. The Mayor and I, along with local resident Derek Hamlin who will be Project Manager for the new program, are putting together a street collection program, much like Cruz Roja , using young Mexican volunteers and students, collection jars, Spanish language brochures and Spanish language graphics. ZAPP, along with Derek, will launch this program with the Mayor’s blessing in early January 2009. Reaching out to the Mexican community for financial help should really shore up our fundraising efforts, as well as elevating local consciousness, and at the same time keeping ZAPP’s program viable.ZAPP will continue to raise money for spaying and neutering by selling prize related raffle tickets, and producing shows and events. We’re confident that our new approach will help insure ZAPP’s future. In San Felipe contact ZAPP, at www.sfzapp.blogspot.com/; In Rosarito, contact Dr. Joaquin Villasenor, at jvnlaslunas@yahoo.com for info or www.bajaanimalsactuary.org; In Ensenada, contact Elinor Morrison from “Four Paws” at cisforcat90832@yahoo.com or Cinthia Ola Lde at cinthiao@gmail.com; “Give Some Life” in El Cajon can be reached at http://www.givesomelife.org/ and in Mexicali contact Rosaura Fernandez rosy.gslmexicali@hotmail.com finally in Tecate, contact Erika Bolanos at erideni@hotmail.com. San Felipe has been chosen to hold the first Our Little Miss Scholarship Pageant in Mexico on December 6, 2008. The host agency, The World Youth Federation, is a scholarship pageant founded by Marge Hannaman in 1962. She wanted to create a program designed for girls and women that would build confidence and award scholarship monies to the winners. 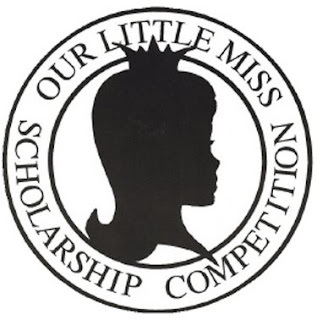 Our Little Miss Scholarship (OLM) Pageant was born in the United States and it grew worldwide by the 1970s. For the past 46 years, The World Youth Federation’s philosophy has been to provide a positive environment for children and young women to express themselves in public speaking, modeling and talents. Those involved in the program want to provide positive role models and work diligently to keep the girls in school. The local directors know that the only way for them to attain all they can be is through education. These young ladies and women have excelled to the highest levels of their professions. Although the company has never attempted to represent the winners through personal management, many of the girls have used their titles effectively in acquiring television commercials and movie roles. When the new Mickey Mouse Club was aired in 1975-76 by Disney, five of the seven girls selected after a major nationwide search had been directly involved in the Our Little Miss Pageant. Since those years, winners of earlier pageants are still being seen today: Jennifer Love Hewitt and Madalyn Sweeten (Everybody Loves Raymond) also held Our Little Miss titles. OLM girls can be seen on almost every cable and network station, some being in front of the camera and others as network executives. Each winner is required to fulfill certain obligations during her year as Queen, including 30 hours of community service and traveling to other competitions to work and assist directors and other competitors. In 2006 the winners and their families helped to raise funds worldwide for Habitat for Humanity; as a result of those efforts, a home was built for a family who had lost theirs after Hurricane Katrina. The organization has funded over 1,500 scholarships worldwide. The pageant will be held on December 6, 2008, at Cobach High School’s amphitheater starting at 10 a.m. Professional pageant judges and royalty from around the world will arrive to kick off this event. Please contact Vickie Silva at (686) 175-5420 or email mexicoourlittlemiss@yahoo.com if you have any questions or need additional information. Centavo's Two Cents: ’Tis the Season . . . ing! The idea of gift giving at Christmas makes me a bit curious about the origins of this custom. Gift giving, according to my diligent research, actually goes back to the time of the Roman Empire. On the first of January, during the Winter Solstice, the Roman Emperor expected gifts from his administration. It was a requirement, possibly for the favors that he had bestowed upon them during the year. Would the Emperor receive such lavish items as gold, jewelry, precious stones or exotic spices? Well actually, no. In the beginning of this gift giving expectation . . . believe it or not . . . a simple branch from an evergreen tree would do. What? Maybe evergreen trees were scarce in the Roman Empire, but I would have liked to have seen the Emperor’s face as these gifts were passed to him. Soon enough, competition would give way to delivering honey and cakes as a symbol of a new year filled with sweetness and prosperity. I am sure that made the Emperor a lot happier. In America, gift giving began in the 1820s. It was advertisers setting their sights on a reason to buy that brought the gift giving idea to the extreme. In 1930, the Coca-Cola Company incorporated Santa Claus in its marketing campaign and, as you know, the rest is history. So here I am in San Felipe debating with myself on the particulars of the family gift giving that I find myself obligated to do. The beauty of nature, the desert, the ocean, surrounds me as I prepare to locate the Christmas wrap from last year. Evergreen branches would not do . . . nor would cakes, honey, puddings, alcohol or anything made with seashells. What could I possibly buy my relatives who already have so much? One Christmas season I made certificates that told my gift receivers that I had donated money to a needy organization instead of a gift for them. That didn’t go very well. My niece’s kids had already stocked up on batteries for their expected mechanical toys . . . and the adults looked at me in disbelief. So in the spirit of giving, I have thought that I probably can cover my entire Christmas list from the street merchants while waiting to cross the border. I could stay in my car, pass money over to them, and pull my items through the window. My brother Joe collects banks. Last time I traveled to the states, didn’t I see someone carrying a Sponge Bob with a coin slit on his head? No matter what, I must purchase Christmas gifts . . . !!!! Hey . . . I just remembered that San Felipe has manufactured its own Sea Salt and Garlic Seasoned Salt! They are packaged in beautiful blue bottles with embossed metallic labels . . . and they also have Margarita Salt! What’s not to like about that? The kids get gift cards and the adults . . . well . . . ’Tis the seasoning! . . . I’m set. Best of holiday wishes to all! Come visit. I’ll be in a hammock with some mistletoe and hot buttered rum. Marianne does hats; colorful, flower-bedecked, braid-banded hats. She takes something functional and only moderately noteworthy and adds charm and sweetness to create what is unique. That’s pretty much the way she approaches people too. I think I’m one of her hats. I met her shortly before I moved to Baja. She and her husband, Dave, were both gracious enough to talk to my husband and me, two gringos desperately searching for friendship in our newly-adopted hometown. They were kind enough to share time and a restaurant table. And now we are dear friends. She is impressively tall, graceful and beautiful. Her short, blond hair frames her oval face. She’s quite lovely. When you talk to her, she’s listening and absorbing your words. Like all true friends, she empathizes; joyful about your joy, pained by your pain. I’ve heard talk that she can cuss, and that makes me like her even more. But, I’ve never heard her do that, nor utter a critical word about anyone. She is funny, but never sarcastic, sweet but never cloying. What is most surprising about Marianne is that she probably shouldn’t have turned out this way. She knows better than most of us how tenuous happiness is, how scary it can be to just be alive. She hates flying, driving and anything that puts her or those she loves in harm’s way. Her childhood should have left her mean-spirited and insecure. Poverty breeds jealousy, abuse breeds anger—and some scars, emotional or physical, never heal. I think her spirit was strong and good enough to survive and flourish. I’m immensely proud of her. Thanks, Marianne, for the Mother’s Day cards, especially the one from 2007, when my own kids forgot. And thanks for holding our puppy, Scarlett, while she slept in your lap for hours. Most of all, thanks for dressing up my life, like one of your hats. Straight from the pages of Architectural Digest and House Beautiful, Baja Nueva, San Felipe’s newest and most interesting furniture, home decorating and gift store is a must visit when downtown. 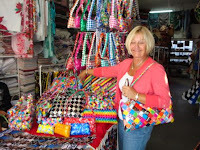 Located on Mar de Cortez in the Plazita, it is chock full of exciting and colorful items for the home. Original artwork, glass vases and plates, heirloom boxes, wall clocks, candles and holders, decorator shadow boxes and authentic local Indian pottery is just a small amount of the eye candy that keeps you looking from place to place in this wonderfully colorful and well laid out store. Each time you enter the shops—there are now two, one is primarily for custom furniture, the other for gifts and home accessories—you’ll see new and interesting items that you missed on your previous visit. From the moment you cross the threshold you know that you are in a special environment as the aroma of scented candles, the sound of quiet music and the sight of an exquisite multi-colored glass chandelier greets you, along with the owners, Sherry and Jerry Lankin. Two expatriates from Scottsdale, Arizona, they came to San Felipe to semi-retire and to be a part of the casual Baja lifestyle. They quickly became part of the community by participating in the Rotary and the Zapp Spay/Neuter Program. Sherry and Jerry built a home on El Dorado Ranch and quickly saw the need for a furniture and accessories source to serve the demand of the new home and condo owners, and so Baja Nueva was born. Within the span of less than one year it became necessary for them to expand their inventory, and a second store was opened in July, also at the Plazita to hold their custom, Mexican-made contemporary furniture line. In addition, they offer complete design and decorating services as well as furniture, window coverings and accessories for the rental market. Baja Nueva is a great supporter of local artists and each month hosts a mini art show featuring original works in oils, acrylics, watercolors and crafts. Stop in when you’re downtown, share a glass of wine and enjoy the ambiance of this bright and beautiful store. The old Costa Brava building is an elegant Old Port home which is aging gracefully with the slightly tired feeling of having lived in a grander time. Enter through the Mexican-style garden courtyard, through the entryway and up the stairs crowned with a magnificent chandelier, into the grand sitting room with unbelievable views of the ocean. Today, this is the perfect backdrop for the new Consign & Design, the place to find “experienced” furniture and clothing. Recently, we see an increased focus on recycling in order to help ensure a “green” future for our planet; and, with that in mind, consignment furniture and clothing have become quite the rage. 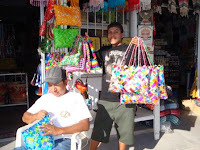 Now in Puerto Peñasco, you may indulge in the shopping thrill of discovering a unique or eclectic treasure. No longer are you limited to new furniture at new furniture prices. You may also shop from an outstanding selection of classy clothing for the discriminating dresser. You will feel like a true friend of the earth by recycling clothing or furniture and earning some cool cash, too! Jill Mitchell and Bobbie Tobin are the proprietors of Consign & Design. Jointly, they have over 25 years of experience in the consignment business and believe that Consign & Design is “the right thing at the right time.” In Bend, Oregon, Jill operated Dejavu for 10 years, a top-end consignment furniture store. Jill is an experienced interior decorator who can assist clients to decorate their home, perhaps including an eclectic piece found at Consign & Design. Bobbie operated Bo-T’s for 16 years, a popular clothing consignment boutique in the Scottsdale/Phoenix area. On a Tuesday evening in October, I headed out with paint roller in hand to meet the rest of the group. We met against the back wall of the grade school; each with a paint roller or paint brush in hand. Inside of 15 minutes, we had completely covered the graffiti-stricken grade school block wall with a bright and clean coat of white paint! Who is this group of industrious women? The Uncommon Women on Common Ground. Puerto Peñasco is truly a melting pot of diverse, interesting women from Mexico, United States, Canada, Latin America and Europe. Each woman is uncommon and distinct, having differing backgrounds and areas of interest and expertise. And, each has something unique to share with other women…on a common ground! In 2006 Jonni Francis, Heidi Wosak and Phyllis LeFevre, three local business women got together to discuss the idea of a women’s organization that would bring together women in the local community to be able to meet one another to network, build new relationships and have fun. Hence, the beginnings of Uncommon Women on Common Ground. The group meets each month on the 2nd Tuesday of the month. The meeting is held in a different venue each month so as to explore new and different locations. The first meeting, was for cocktails and conversation at a fellow business women’s bar, Jill’s Place. The second month, it was held at another woman-owned business, the Black Dog. The group has even ventured out of town for a day trip to the states for bowling and shopping. And, to the Pieles Pitic leather factory in Pitiquito and onto Caborca for lunch. Recently, the group enjoyed a sunset cruise on the Morris and another evening was dinner and drinks at the Thirsty Parrot. And the graffiti painting evening was followed with dinner and a Cuban dance presentation at Paladar Habana Vieja. Photo caption: Ramon Ramos, Owner. Ohmygoodness! You just have to venture beyond the heart of town to La Cocina de Ramón! Some of you may remember Ramón Ramos from his days as chief cook at the much-enjoyed Old Port Galley. When that restaurant closed, he and his wife Lupita Urias decided to open their own restaurant. La Cocina de Ramon is charming, the hospitality is unsurpassed, and the food is delicious. Dinner was a wonderful experience! Try the chilis nogados, from the house specialty menu. Mild Anaheim chilis are filled with a delicious concoction of beef, apples, cinnamon, raisins and nuts, drizzled with gently seasoned sauce, and served with rice, beans and tortillas. They were so delicious that we passed the plate around so that everyone at the table could try them. The shrimp and chicken fajitas were both wonderful, the fish excellent, and you should have seen the glorious seafood platter created “off menu” for the people at our neighboring table! Aguas frescas or selections from the full bar are available, as is dessert, which deserves special mention. Lupita and Ramón have long been known for postres, including desserts and especially wedding cakes. You might want to look through their scrapbook of catered wedding dinners . . . they just might be the solution for catering a Puerto Peñasco wedding. The chilis nogados cost about $9. Three of us ate well, including non-alcoholic beverages and dessert, for about $30. La Cocina de Ramón is open from 8 a.m. until 9 p.m. except Tuesdays. From Blvd. Benito Juárez (the main artery through town), turn east onto Calle Simón Morua (at the traffic signal where you see the sign for Ace Hardware). Proceed four streets past Ace Hardware and turn right; you will see La Cocina de Ramón as you make the turn. ¡Buen provecho! It’s a Buyer’s Market, and Financing IS Available! If you have been considering the purchase of property in Puerto Peñasco, now is the time to buy! Selection abounds, with many listings on the market, and prices are down considerably from a year or two ago. Experienced Puerto Peñasco realtors agree that there have never been so many great properties on the market at such low prices, with so many financing options. In the past, cash payment was generally required to purchase property. Not any more! Banks in both Mexico and the USA offer financing for Mexican properties, and the application and approval process will be familiar to many. Additionally, many developers or owners are offering their own financing, in some cases with as little as 20 percent or less down and up to 30 years to pay. There is often no qualifying for these loans, so the financing is easy to arrange. While “owner” financed loans are often at interest rates above bank rates, some are negotiable, and most have a “no pre-payment penalty” clause, meaning that buyers can pay a little extra against the principal with each payment, effectively reducing the loan interest rate. Prices of properties purchased with financing are generally not negotiable, while a cash buyer can often negotiate a better purchase price. 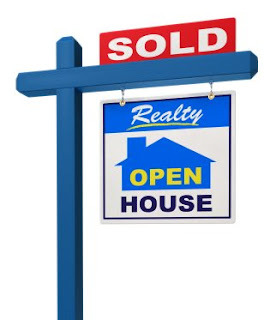 However, anything may be possible in this current buyer’s market, so ask! If you will help your licensed realtor to help you by providing information about your financial abilities, as well as your property requirements, s/he will be able to guide you to properties with financing options that work for your situation. Now is the time to arrange that great purchase at a great price with great financing! 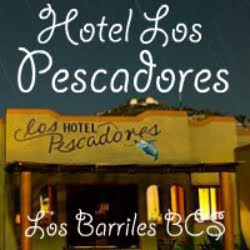 Puerto Peñasco is a shopper’s dream, with great shopping in the tourist district, and other areas as well. Curios la Choya, with its three blocks of wonderful shopping, is worth the short trip to get there. Locals have long known about the “Dirt Mall” or “Shacks Fifth Avenue,” but has it ever changed! The streets are now paved, there are sidewalks to stroll, and most of the shacks have made way for attractive shops that offer everything from the finest furniture, sculpture, artwork, and handcrafts from all over Mexico, including items made right in the stores! There is also a liquor store and a pharmacy, so even your spirits and prescription medications can be bought here. 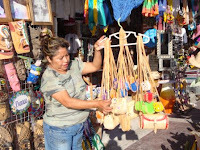 If you want to take home a unique Mexican gift, without spending the whole vacation budget, why not create a gift basket with items from the shops in Curios la Choya? 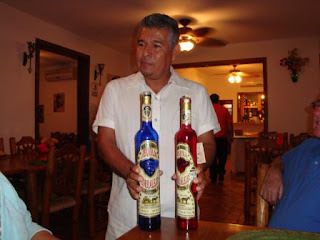 Start with a tortilliera, a covered basket for keeping tortillas warm, handmade in the mountains of Guerrero, then tuck in a bottle of Mexico’s excellent vanilla extract and a lovely hand-painted Varro figurine from Jalisco. Add an exfoliating natural sponge from the Sea of Cortéz, a charming evening purse made locally from, of all things, soap wrappers, then finish the basket with a seashell or two. After you get home, wrap the treasures in tissue paper, and tuck them into the tortilliera . . . who wouldn’t love to receive this unusual gift that is so Mexican? Curios la Choya can be reached by taking Avenida Constitución north from Blvd. Benito Juarez (the main artery through town). Turn west onto Calle No Re-eleción, cross the railroad tracks, and you are there! Confused, emotionally battered and with his shirttail flapping in the breeze, Gene Robinson needed help. Robinson, a self-described “old geezer,” was the victim of fashion vigilantes. 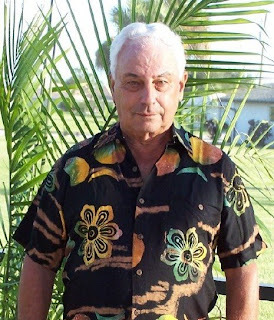 Gene is an aficionado of the Hawaiian shirt, but he’s a true rebel. He tucks his shirt in. He says it just feels right. Gene’s wife was amused at the whole scenario, but Gene was perplexed. At that moment, another woman walking by said, “Don't you just love these old guys with the big fat stomachs who try to disguise it by wearing their shirts on the outside?" For the next few weeks, Gene was in a daze. Tucked or untucked? He tried to go out one day with the front of his shirt tucked in and the back out, but his wife wouldn’t let him out of the house like that. In desperation, he wrote to Dear Abby for advice. Her reply: Stop wearing Hawaiian shirts. 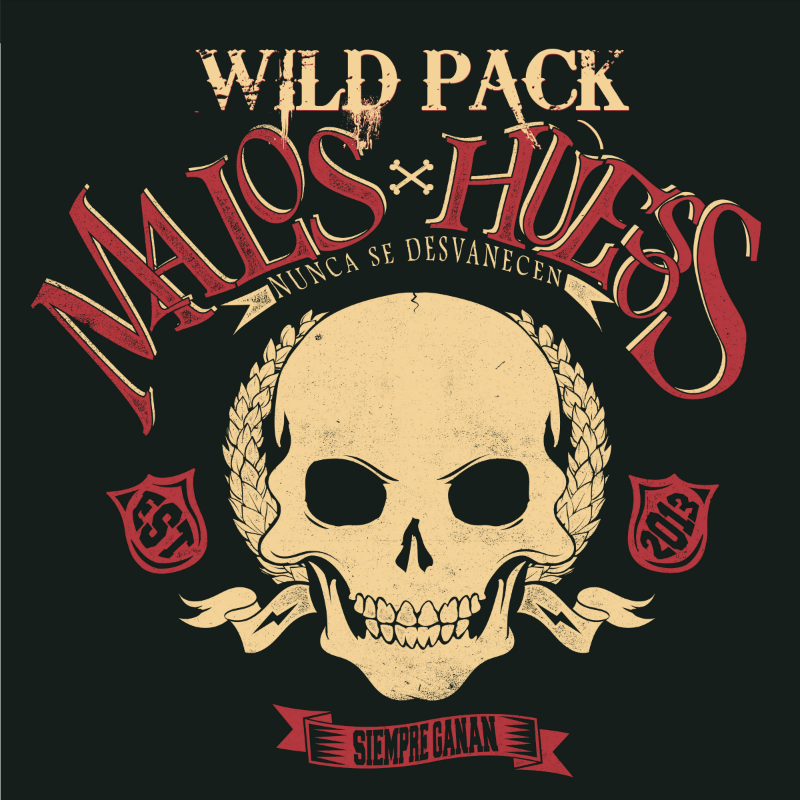 Mad Gringo contacted Gene and offered him a free shirt as consolation for all of his troubles. After some deliberation, he chose the Tiger Eye Tropical Party Shirt, which has a smoky black and mango pattern. For now, it seems Gene’s troubles are over. Confidence restored, he has been seen both on the golf course and on the town. He’s decided to follow his inner voice and tuck in his Hawaiian shirts. It just feels right. Escaping into the cool shade of CEDO’s castle–like main building, the day began with a natural history talk on the Gulf of California and its surrounding areas before we made the short trip out to estero Morúa and the oyster farm. Upon arriving at Punta Roja cooperative, we were surprised to discover how these local dedicated farmers live their lives completely intertwined with nature—working in accordance with lunar cycles and living in basic housing on the shores of these incredible wetlands, one of the most productive in the world. Wading into the shallow waters, we examined the floating boxes in which the oysters grow, and learned about the processes involved in maintaining them healthy and free of predators. During this talk, however, an American Oyster Catcher, another inhabitant of the area's esteros, flew down and tried to steal a couple of tasty shellfish from the neighboring boxes! Choosing our favorite shells carefully, we returned to consult Doña Antonia on the best way to cook our prizes. We experimented a little, using plants from the estuary, ginger and lots of butter to create ourselves a feast worthy of royal attention, and took our seats in the shade to eat and discuss the estuary, the cooperative and the future with Doña Antonia and the other members of the cooperative. Building in Northern Mexico is not that much different than in the United States. You will find more concrete homes and only a few frame homes. The next thing you will find is that it can be a lot slower to build and, in most cases, you will miss out on some of the safety features found in U.S. homes. One thing that Home Inspector Tom Thomas of Puerto Peñasco finds in almost all of the homes he has inspected is the lack of Ground Fault Circuit Interrupters (GFCI) electrical outlets that are required within 5 feet of any water source. Another is the lack of safety products. Tom said many of the homes his company has inspected don't have a smoke detector or a carbon monoxide detector. Some other things inspectors find are: no venting of the plumbing that can lead to deadly gases being vented up through drains, foundations that will not support the building and electrical wiring that will not carry the load. If you plan to build a home in Mexico, you will need to communicate with your architect and builder about these safety features and products. Hire a home inspector to inspect while the home is under construction with a final inspection before the home is turned over to you from the builder. A few hundred dollars can save thousands of dollars in repairs later. What is the secret to their success? As a satisfied client of many years, it turns out there are many answers to that question. The restaurant/bar is located midway between Rosarito and Ensenada on the Libre (Free) at Km. 64. La Misión is an oasis between two bustling cities. The fertile river valley’s agribusiness is the economic base of the community, complemented by the many retired expats that live in the area full time. The Magaña family has managed to entice this diverse demographic with their great food, while maintaining a price range within reach of a ranch hand, an expat on a fixed income and even a struggling journalist! For starters are the Monday-Friday lunch specials priced at only $4: pork with chile verde, chicken covered in cream sauce, shrimp and cactus tortas, tongue in green sauce, ranchero steak, and an array of “antojitos Mexicanos” (tacos, chiles rellenos, flautas and tostadas). Owner Nellie and Manager Daniel took an hour from their busy schedule to brief me on their history and extensive menu choices. Chicken is always on the rotisserie, todos los dias (every day), as well as beef birria. My personal breakfast favorite is their wheat bread French Toast. For the sugar challenged, they have sugarless syrup. The weekday specials are: Mondays – hearty albóndiga (meatball) soup; Tuesdays – baby back pork ribs (after 4pm); Wednesdays – beef soup, fried chicken or pot roast; Thursdays – lengua (tongue) in green sauce; Fridays – chiles rellenos and shrimp and cactus tortas. On weekends you can also enjoy menudo, carnitas and beef birria. The portions of all the above dishes are so generous that yours truly has been unable to save room for Nellie’s famous desserts of carrot, tres leches and chocolate cakes. One day, I’m going to skip lunch and only have cake and coffee—another report to follow. Wi-fi Internet soon too! Caption: Sitting: Nellie, Olga, Daniel. Standing: Carmen, Luis, Juán and Villa. 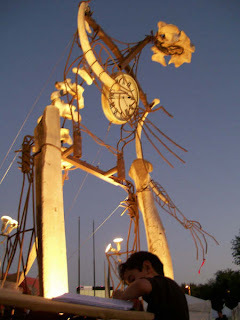 Inspiring many with a message of conservation for life and the planet earth, I displayed a monumental sculpture “The Whale Man” in Entijuanarte 2008, which took place at the Cultural Center of Tijuana (CECUT) on October 4 and 5. I wrote The Legend of the Whale Man a few years back. A local friend and poet, Lauro Acevedo helped to “polish” it and my love Bernie translated it into English. Recently I created the sculpture from the legend. The Whale Eye was made by Aida Valencia, friend and artist; in collaboration for the whole installation. The Eye represents the interactive portion of the sculpture, allowing people to connect and participate in its statement for conservation. All of us felt the energy and positive response of the people. There were young people who touched the Eye as a commitment to continue the message of loving and caring for the planet and parents who leaned in with their babies to touch it. We took the Eye down to a lady that was in a wheelchair, so she could share in touching it. Some curious people even came closer to touch the main structure to confirm that in fact the whale bones are real. We had a book for comments—beautiful comments written by young and old. I was interviewed by school kids for art projects and local TV stations. Well-known personalities also came to view it: José Luis Cuevas, famous Mexican painter; Rick Steves, traveling expert from PBS programs on travel in Europe (he was on vacation, not working). Bernie took over 500 pictures during the two day event. “The Whale Man” will be on exhibit in Ensenada at the State Center for the Arts (CEARTE) for two months, starting November 19 as my personal exhibit; along with my “Mermaid” and “Humans,” which are already located there. I would like to say Hola and thank you to Mexico Living for this opportunity offered to me, forming part of their editorial staff. 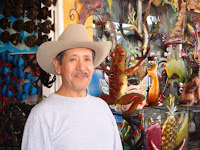 In my column, I will participate with themes related to art and culture within Baja California. The Holiday Gift That Ultimately Stops Giving Altogether! What a year this has been, huh? A new President, like him or not, an ailing economy, and if that’s not enough, it’s time to shop for the Holidays again. 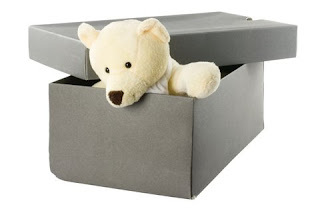 As someone who has no two-legged children or grandchildren, I was thinking how terrific it would be if I could get folks to really give the gift that will ultimately stop giving altogether! Here in Northwest Mexico, we have numerous animal rescue groups and spay/neuter projects that are really “dog tired” when it comes to raising funds to keep up their projects. The puppy and kitten adoption market has dried up as a result of the economy and displacement of animals due to foreclosures. Spay/neuter projects are struggling to stay ahead of the population in their respective streets and neighborhoods. We are constantly trying to keep up our sterilization numbers, so we can someday reach what might be considered zero population growth. Sometimes it feels like emptying the ocean, one teaspoon at a time, and although we get discouraged, and the task is daunting, we keep up the good fight. This Holiday season, instead of buying ridiculous, overpriced $25 bags of assorted chew toys at Costco or PetSmart for your pets, how about a donation to one of the hard-working animal rescue groups or spay/neuter projects operating south of the U.S. border. It’s not like any of our your well cared for, well groomed, well fed pets really know it’s Christmas or Hanukah anyway. And if they could understand your motivation for directing their Christmas money to a deserving street dog or cat, given how you brought them up, wouldn’t they think it’s great? All of us involved in the day-to-day struggle to feed and “fix” our four-legged friends, so they no longer deliver unvaccinated high-risk litters of puppies and kittens that starve and die in the streets and under cars in Mexico, would surely appreciate your financial support. I realize that this is the gift that will ultimately stop giving altogether, but that is what our work is truly about. Gringos in Mexico step up and improve the quality of life for both people and animals—that’s just what we do! In Rosarito Beach, you can donate to Baja Animal Sanctuary by going to http://www.bajaanimalsanctuary.org/ , in San Felipe you can donate to ZAPP at www.sfzapp.blogspot.com/ or San Felipe Animal Rescue at www.sfanimalrescue.org. In Ensenada, you can contact Elinor Morrison from “Four Paws” at cisforcat90832@yahoo.com , “Give Some Life” in Tijuana at http://www.givesomelife.org/ or “Por Gente los Animales” in Mexicali at http://www.genteporlosanimales.org/web/. How do you transfer funds from your U.S. bank into your Mexico bank account? Do you find wire transfers or other procedures to be costly and often time consuming and confusing? Discover Monex! 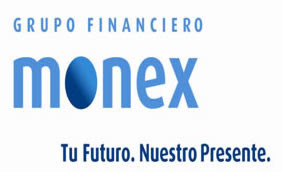 Founded in 1985, Monex is Mexico's premier foreign exchange institution. As a state-of-the-art currency trading service, Monex has nearly 50 offices throughout Mexico and has led the way in bringing online tools and services to Mexico, better serving non-Mexican clients who live, work and invest in Mexico. Monex does not charge for opening or maintaining accounts, offers better exchange rates than banks, can structure investment accounts in Pesos or other currencies and accepts non-Peso denominated checks and converts them to Pesos. You can do virtually all of your banking from the comfort of your own home in any country. 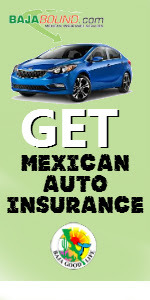 You can receive funds from Mexico or pay bills in Mexico. The one service that is indispensable, however, is the reasonable and efficient ability to make international funds transfers. Additionally, Monex provides industry-leading investments and securities advice and account management tools. Monex is universally known for personal service, in-depth market knowledge and responsiveness. An employer of over 500 financial professionals, Monex has received awards from the Great Place To Work Institute as one of Mexico’s 50 Best Employers. The company has also received the Corporate Social Responsibility Award from the Mexican Philanthropy Center in recognition of their ongoing efforts on behalf of the less fortunate in Mexico. Baja Country Club is a golf resort located in Ensenada, Baja California, Mexico, about an hour and a half drive from the San Diego border. Offering clean air and natural beauty, the resort sprawls over 300 verdant acres surrounded by mountains. The picturesque par 72 championship golf course boasts 12 acres of lakes, mature trees and plenty of challenges for the seasoned golfer. This spectacular golf course lies seven miles south of Ensenada at the end of a canyon surrounded by mountains and offers 18-holes with 6.859 yards from blue tees. Built in 1990, this unique course winds its way up the canyon while the gentle breeze from the Pacific Ocean blows constantly over the fairways and greens providing a refreshing atmosphere. Baja Country Club features an Island Green, a Double Green, a Desert Hole, as well as 12 acres of lakes. Golf rates including cart are $47 weekdays and $57 on weekends. 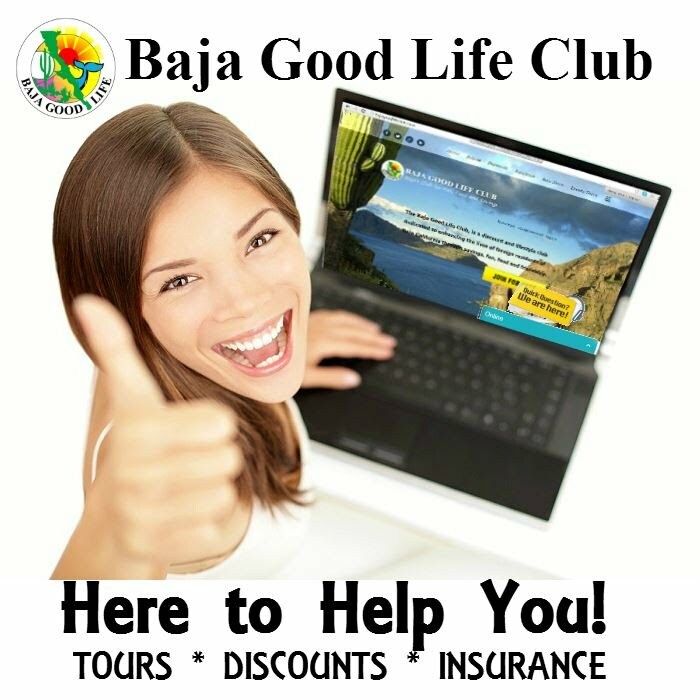 Aside from its strong appeal as a golfing resort, Baja Country Club is also a sanctuary, encompassing natural beauty and tranquility, with cooling ocean breezes and gated controlled security. The club recently got a major boost when the most prestigious developer in Rosarito Beach took over. Following the runaway success of Club Marena, the developer and his team stepped in to improve the golf course and start the development of the property. Baja Country Club has a pro-shop, snack bar, large part of the incredible club house, practice green and driving range in operation with 30 hotel suites under construction. Also slated for construction are recreational areas with swimming pools, tennis, gym and additional barbecue areas. Home sites consist mainly of two choices of custom home locations around the golf course; one on the fairway and the other on the mountain side. An impressive but elegant wall surrounds the entire area making it more exclusive. A few model homes are available for viewing and many homes are already being constructed and delivered to excited owners. Starting prices in phase one offer a great investment opportunity. Lots of 3200 sq. ft. start at $48,000 and homes with lot at $154,500.